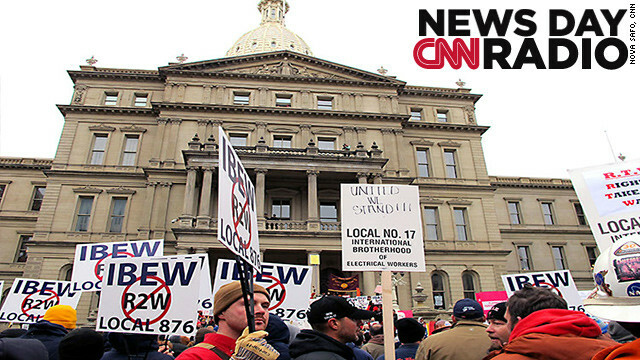 Union members from around the country rally at the Michigan State Capitol to protest a vote on Right-to-Work legislation December 11, 2012 in Lansing, Michigan. "...I say this, if it's a fight they want, then it's a damn war they're going to get brothers and sisters!" "What they've talked about trying to do is sort of balancing the need for deterrence...with these sort of systemic concerns about disrupting the bank's business, and perhaps causing job losses....if they did go ahead with a full indictment." "...they don't really generate all that much money. And most of them don't even generate enough money to pay-off their own construction costs."